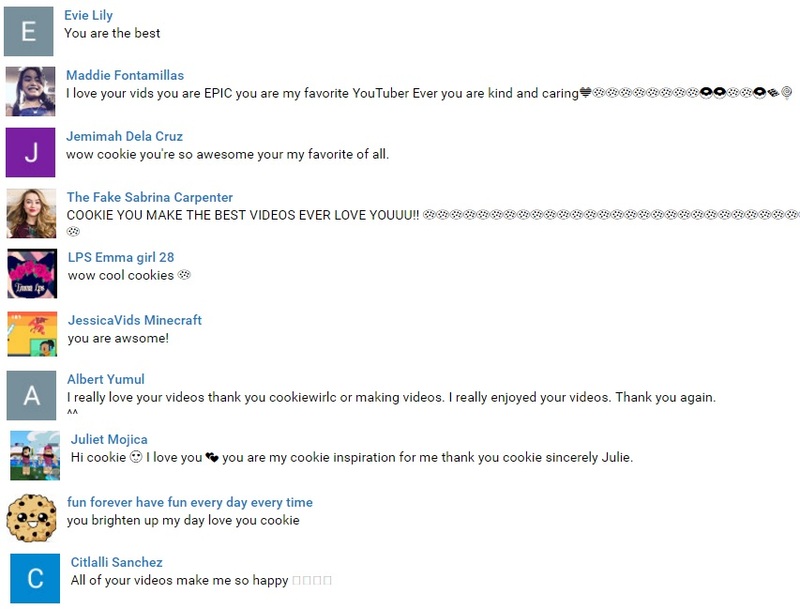 Thank you for being the sweetest ever cookie fans!!!! 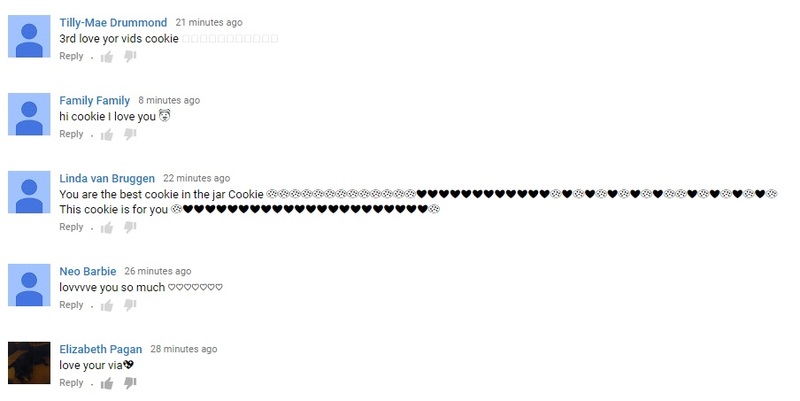 One of the best parts of my day is reading comments on my videos. 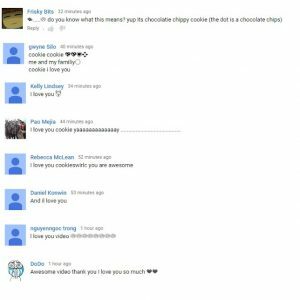 I look forward to your comments every single video. 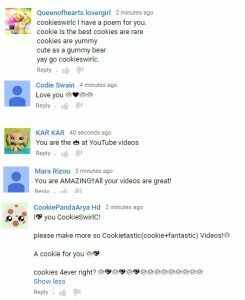 Thank you so much cookie fans for the sweetest comments ever! 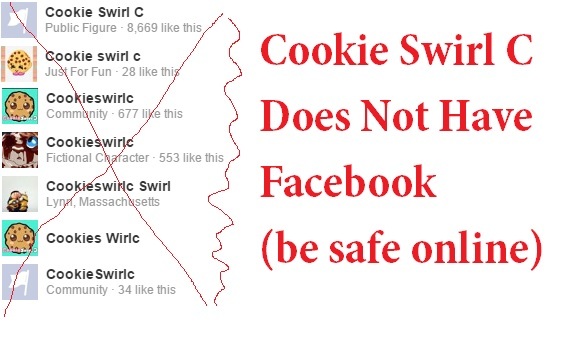 Thank you again cookie fans for the sweetest comments. 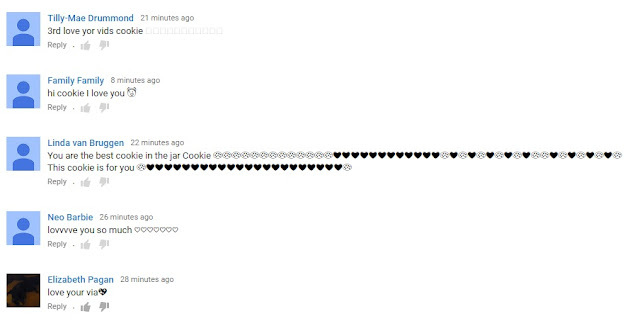 Thank you for the sweetest comments ever!!!! 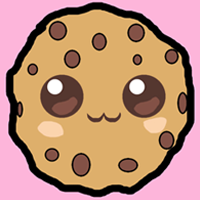 Thank you for all the love awesome cookie fans and cookie parents!!! 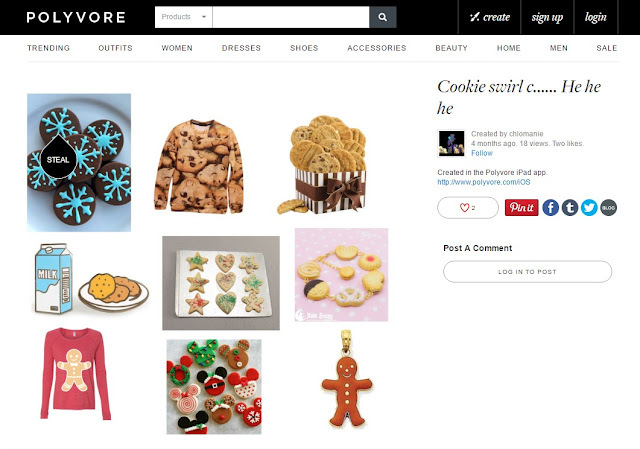 I am in Love with the chocolate chip cookie sweater!!! 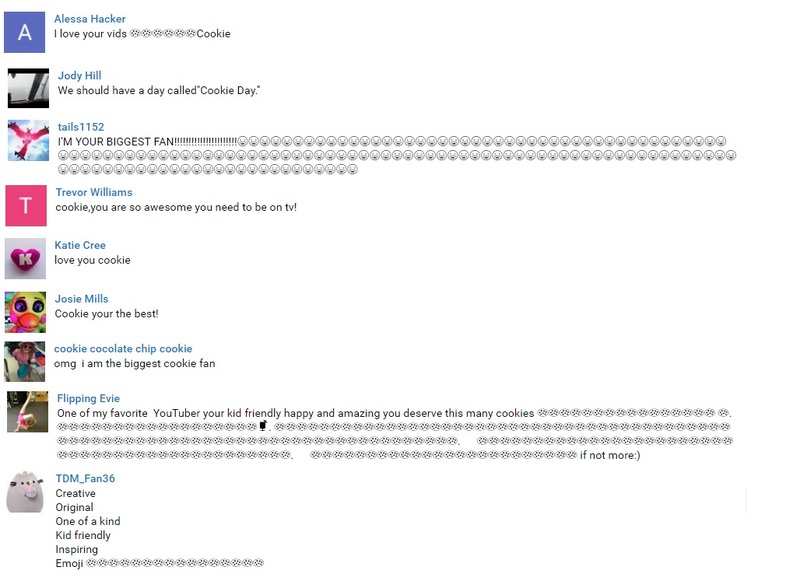 I still can’t believe how lucky I am to have the sweetest fans in the world!! 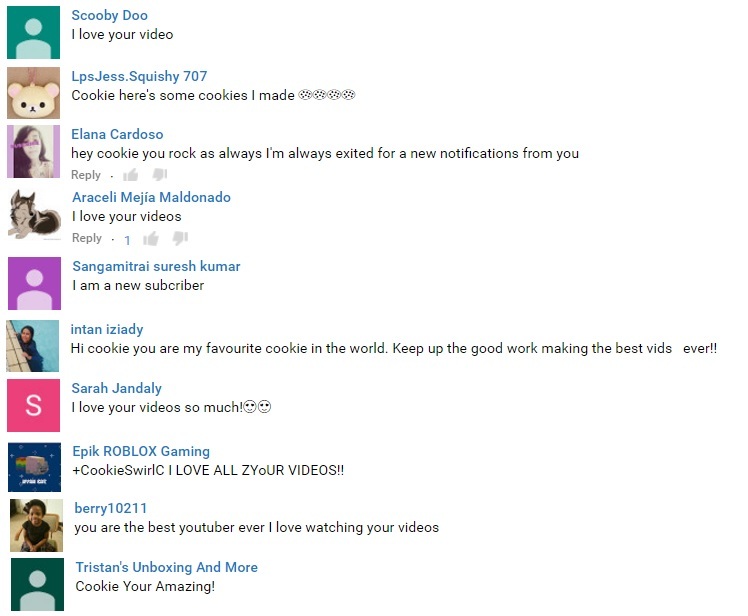 Thank you for being the best cookie fans!!! 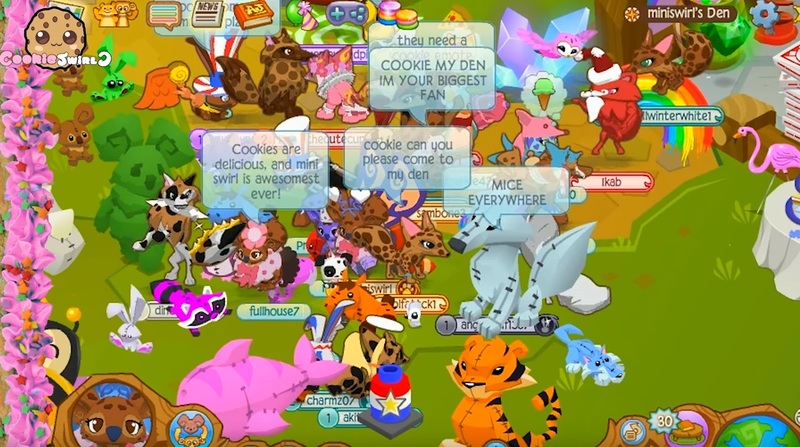 Ok it has been a long time since I have played Animal Jam, so I’m going to try to log in again and play today. I will start logging in at 12:00 Pm PT California time (please remember I may be in a different time zone as you) 4/23/16 My user name is Miniswirl. 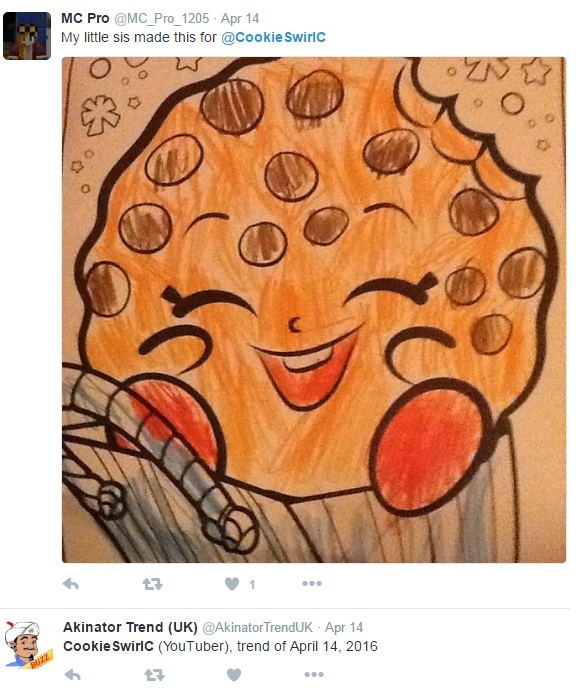 Feel free to post a comment on my AJ wall, I’d love to hear from you.